The third of Italian director Roberto Minervini's America trilogy focuses on Sara, the 14 year old daughter of a large, deeply religious, goat farming family in rural Texas. We see her everyday life, helping with the family and the farm, but also a little spark between her and Colby, the bull riding son of a neighbouring family, which may be part of what is challenging her faith. Stop The Pounding Heart was never going to be a big mainstream title. It played well at festivals, but without stars or a big name director to act as a hook, wide distribution for a film this small and quiet was always going to be an uphill struggle. Unless you caught it at a festival, this was always likely to be a film that fell through the cracks. Titles matter. Since I first started going in about 2004, I have always tried to see the film I think has the best title in the London Film Festival brochure. That was how I ended up seeing Stop The Pounding Heart, at a public screening, when most of the rest of the press corps was off watching I forget which big name movie. I was, quite simply, enchanted by the title; it was hugely evocative, but without telling me what I was about to see and I figured that any film with a title this good had to be worth 100 minutes of my time. The film deliberately and brilliantly blurs the line where documentary and fiction meet, but, three viewings in, I feel that – unless these are some of the best performances I've ever seen – it must lean more to the former. Stop The Pounding Heart dwells not on big events but on the small dramas of the everyday. Sara is shown milking the goats, making cheese, helping her father build a fence, helping look after her younger siblings and teaching them how to read and write (the entire 12 sibling family is homeschooled). Between these everyday activities come a few visits to Colby and his family and friends, where Sara's younger brothers seem keen to learn to ride bulls, something she avoids, despite Colby's continued attempts to get her to join in. The dynamic between Sara and Colby is interesting. Neither is ever overt, but you can feel a little spark between the two, perhaps Sara's first real interest in a boy and though it's never said out loud it seems likely that this is part of what is driving Sara's difficulty in coming to terms with some of what she's being taught. Religion is a major part of the film, playing a key role in every life we see, but especially in those of Sara and her siblings and how they are raised, by their parents and by each other. The Christianity we see here takes the Bible very literally, and it's certainly not the way I would choose to raise my kids, but I never got any sense from the family that they are doing anything other than earnestly trying to bring up their children in the best way they know how. For me, the scenes of Sara's mother using preaching and prayer to teach and to comfort her children, Sara in particular, provoke complex emotions. Early in the film she tells her girls that the Bible teaches that every person is special, that we all have inherent value. Where this becomes a thornier issue is when she expands on this thought to justify why Sara and her siblings wouldn't be allowed to date. It's in this scene that we can begin to see the seeds of Sara's confusion. This theme is extended in scenes where the girls are told that women were created to be 'helpmates' to men, and that it is a strong choice to make to be subservient to their husbands. This conversation, though she nods along, never expressing her doubts, is clearly met with scepticism from Sara. This is also true of a conversation between Sara and the sisters closest in age to her about their ambitions, in which all of them express their wishes to be married and have children, which Sara declares she does not want to do. She also says that she wants to move from Texas, and not work on a farm. You get the sense here, as I did throughout the film, that this intelligent, vibrant girl is being held back by where she is. We're left on much that note, with the scene that gives the film its title, the only moment in which Sara lets her mother see her doubts. Again, my feelings are complex. The prayer to “stop the pounding heart” is meant in the context of Sara's mother wanting her daughter to not be in pain, but there's also something about it that feels like it belongs to that conversation about dating, and that's a heartbreaking thing to hear. 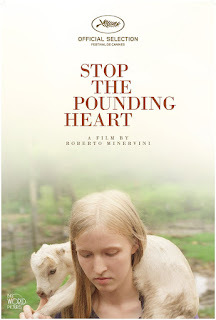 Stop The Pounding Heart is beautifully crafted. Roberto Minervini's camera captures stunning, intimate, artistic images, but only in the very last shot does something feel constructed purely for an aesthetic purpose. If this is scripted, if Sara, her family, Colby and his family are acting out scenarios then Minervini is one of the great actor's directors, but I rather suspect that his role here was simply to get out of the way and find beauty in the everyday. He does that to dazzling effect, creating one of the most profoundly moving American coming of age films of recent years. 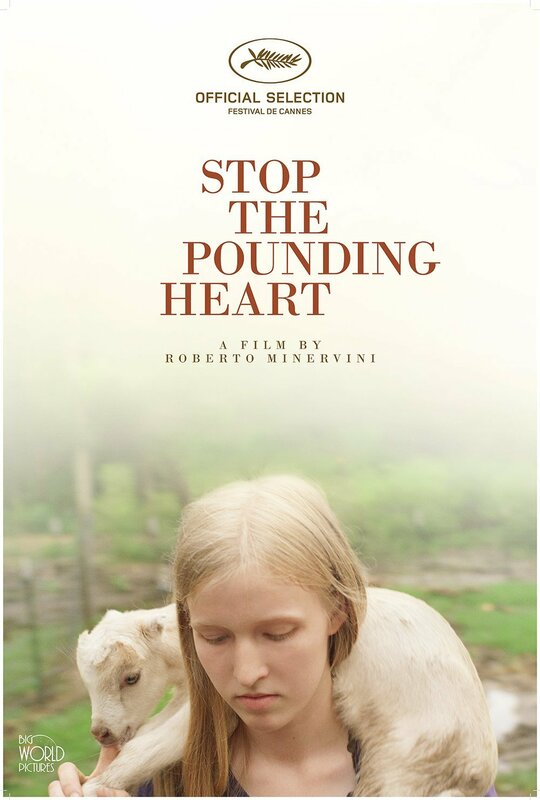 In the UK, Stop The Pounding Heart is available on Amazon through Mubi and through Amazon Video (though not on the free with Prime service). There is also a US DVD available.